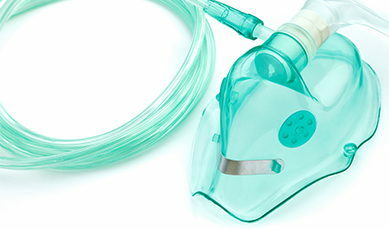 Respiratory therapy services from DeKalb Health is an allied health specialty that helps patients with a deficient respiratory system by providing a wide range of treatments and state-of-the-art services. DeKalb Health’s respiratory therapists are nationally credentialed and licensed by the state of Indiana. Our respiratory therapists treat all types of patients, ranging from premature infants whose lungs are not fully developed, to elderly people whose lungs are diseased. They provide relief to patients with acute or chronic respiratory abnormalities such as asthma, emphysema, croup, pneumonia, and chronic bronchitis. Post-operatively, they work to maintain a patient’s proper lung function. Respiratory therapists, under the direction of a physician, evaluate, treat and care for patients with breathing disorders. Measuring lung capacity, and oxygen and carbon dioxide concentrations are just a few of the diagnostic tests used to evaluate a patient’s respiratory condition. As valued members of our emergency care team, respiratory therapists provide care for patients who have suffered heart or lung failure, stroke, trauma, shock, or near drowning, to name a few. Pulmonary function testing, measurements of oxygen and carbon dioxide levels, and sleep study analysis are all performed at DeKalb Health. For more information, call 260.920.2574.